A tour to enjoy from the comfort of our coach. 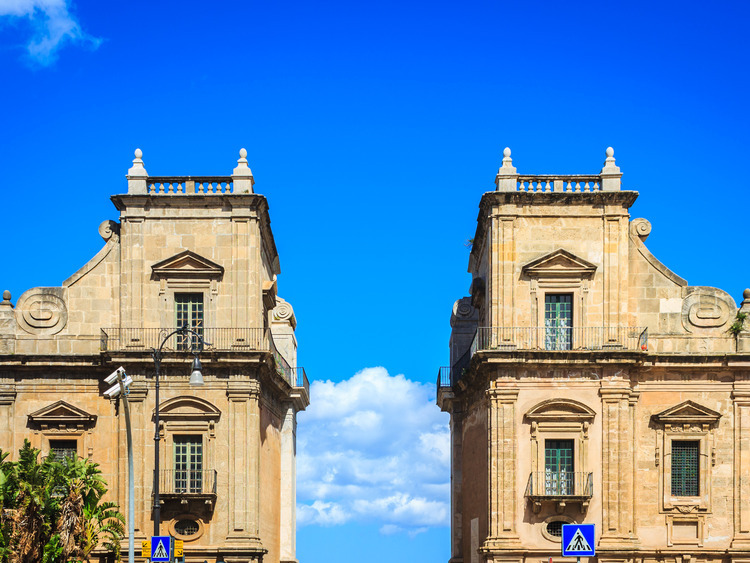 We discover and appreciate the main monuments and well-known attractions of historic, religious and tourist value in the city of Palermo, committing them to memory for all time. Our coach takes us on a panoramic tour of the city, where we admire the main monuments: the Royal Palace, the Cathedraland the main streets of the historic centre with their imposing churches and façades. We make our way to Piazza dell'Indipendenza passing by Palazzo Realeand continue to the Foro Italico to admire the city's seafront, enriched with majestic palaces, the splendid park and the monumental gateway, entrance to the old city: Porta Felice. Our coach then takes us to Parco della Favorita before heading to Monte Pellegrino, the sacred mount of the Palermo people. This is where the Santuario di Santa Rosalia is located, where the city's patron saint went to pray in solitude. It is also accessible via taxi or minivan. Toilets accessible via two ramps are found just before the courtyard. From the fortress on Monte Pellegrino, we can enjoy one of the most enchanting promontories in the world. A quick stop enables us admire the incomparable panoramic views. We return to the coach and head to Mondello beach where we enjoy a panoramic coach tour. On the way back, we make a final photo stop in Piazza Verdi, alternatively named Piazza Massimo after the Theatre that is located there. Teatro Massimo is accessible via the ramps on the side entrance. It features accessible toilets, a lift to access the first floor and another lift for the other floors.